Our Parkinson’s program offers two activity class options on Mondays and Wednesdays and support groups on Fridays. The program is led by Carolyn Hennum, who has been trained in the BIG and LOUD program and the PWR! Moves course through Parkinson Wellness Recovery. Please contact Gary for more information (701) 234-6961 or Gary.Pucher@sanfordhealth.org. 10:00 – 10:50 am – BIG/PWR Moves: This class features BIG movements and PWR moves that focus on strength and balance, and also includes a LOUD voice exercise component. Participants must be referred by a BIG certified physical therapist, and must be a Family Wellness member (need based membership applications are available at the front desk for financial assistance, or print from our website). Classes are held in Group Fitness 1 unless otherwise specified. 11:00 – 11:50 am – PD FIT: This class is for independent movers (no walkers, canes, etc) who are ready for a continuous movement at a faster pace. Activities include dance, boxing and circuit style drills to work on balance, strength and agility. Participants must be able to get on and off the floor without assistance. Before attending, participants must meet with a PD Trainer 1 on 1 for a mobility assessment. All participants must be a Family Wellness member (need based membership applications are available at the front desk for financial assistance, or print from our website). Classes are held in Group Fitness 1 unless otherwise specified. 11:00 – 11:50 am – Friends of PD Support Group (Meets the 3rd Friday of the Month in the Conference Room) This group is for spouses, children, caregivers, friends, or anyone else who could benefit from the opportunity to connect and share with others. The JUMP START program is designed to help you begin the focus on your personal fitness and wellness goals. There is no charge for JUMP START for people undergoing current cancer treatment or follow up. Patients receive a free 2 week membership to Family Wellness and a consultation with our trainer to get started! New option – JUMP START 60 includes consultation and 3 training session plus a 2 month membership. Cost is just $60. Step 1: Consultation: meet one on one with a trainer to discuss your goals and needs. Step 2: Personal training session aimed to meet your own customized needs. Step 3: Two follow up personal training session to assure you are on the right track and moving towards your goals. 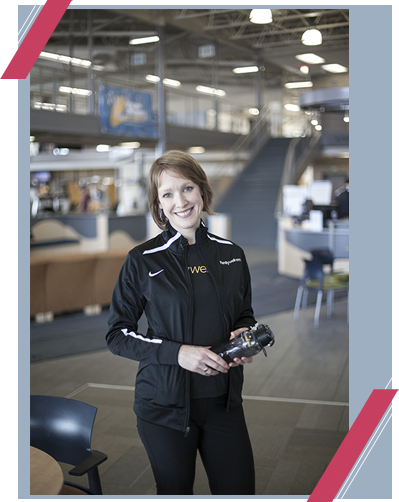 A Cardiac Rehab Specialist is available to Family Wellness members on Monday, Wednesday and Friday from 8:30 AM to 11:30 AM in the fitness center. Staff will be there to take blood pressures and help answer questions on medical fitness including; heart disease, stroke, blood pressure, cholesterol, diabetes and more. This service is provided by Sanford Health. Please contact Bradley Hintermeyer at braldey.hintermeyer@sanfordhealth.org or call Cardiac Rehab at 701.234.5659. Whether baby is here or will be here soon, we can help! FIT Start: for ages 7-11 years old. This is a group style 10 week program where there is 7 fun fitness sessions and 3 healthy cooking/nutrition sessions. 1 on 1 Teen Package for Youth Weight Management: for ages 12-17 years old. This is an individual customized program where the teen meets with our personal trainers for 8 sessions and with our registered dietitian for 2 sessions. Contact person: Molly Kaeding at molly.kaeding@sanfordhealth.org. We understand that sometimes we need a solution for the individual. Our experienced trainers are qualified to work with people with other chronic diseases and concerns than what are listed above.